Before the famous Illiad was written by Homer, a much older epic tale was already written telling the life of the legend hero king of Uruk, the Gilgamesh. Made in around 1300 B.C to 1000 B.C, this mythology shared the adventurous life of the Gilgamesh King and his best friend, Enkidu. 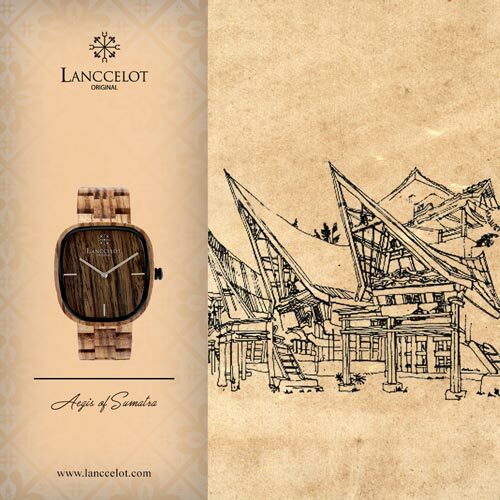 Inspired by the bravery and adventurous spirit of the king, Lanccelot, a watch crafter from Indonesia designed a very unique and personal fashion wrist watch that you should collect. 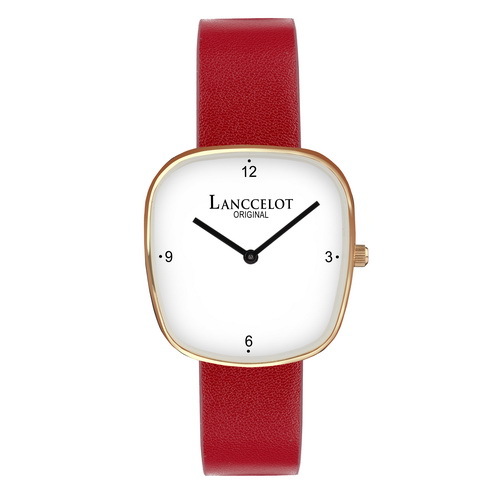 As other collections from Lanccelot, this watch is rather simple but very alluring. 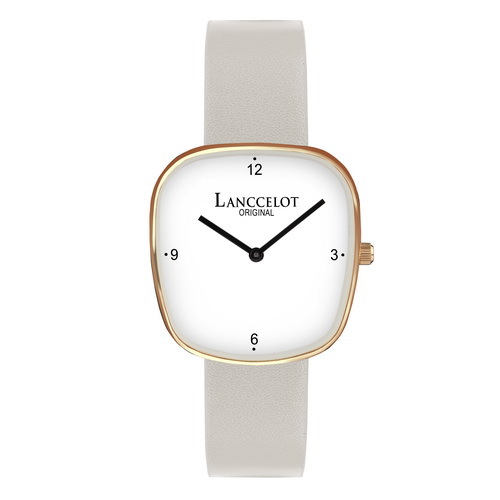 Even at the first glance, it already looks so classic and elegant. Both the King of Gilgamesh and Aegis of Gilgamesh are beloved because they two are as impressive. 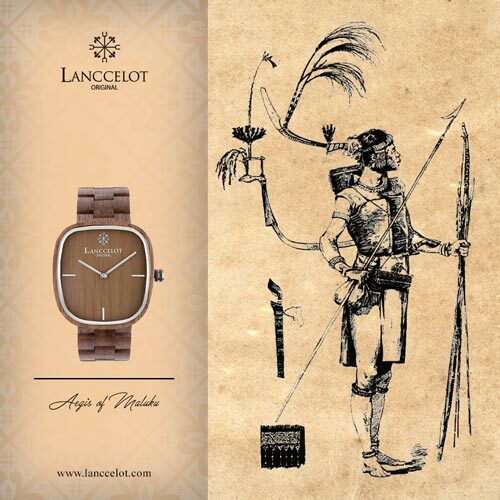 If you feel having the same personality of the King of Gilgamesh, this watch is a must-have fashion item to show everyone how great and alluring you are. 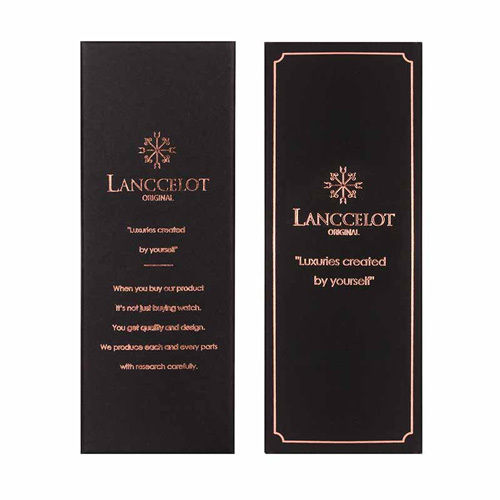 Lanccelot did put so much attention and effort when designing and handcrafting this masterpiece inspired by one of the oldest history and mythical creatures tales. 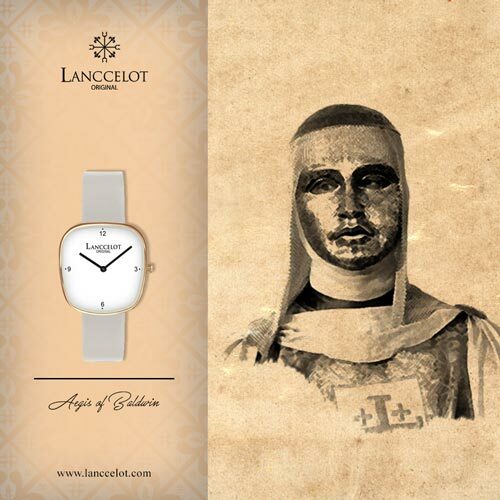 Every part of this fashion watch is made with precision to make sure that it becomes as legendary as the mythology of King of Gilgamesh that has inspired the making. 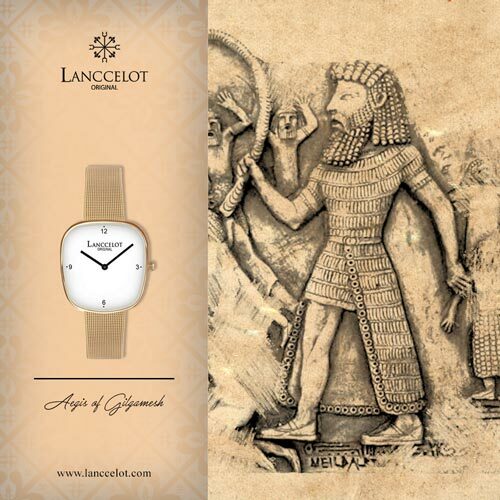 As the mythology told, the King of Gilgamesh was known to be energetic and rambunctious yet firm and very brave. 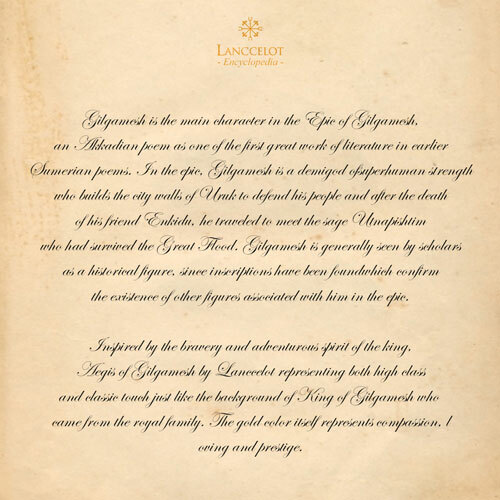 The Aegis of Gilgamesh was designed and made with the same spirit. 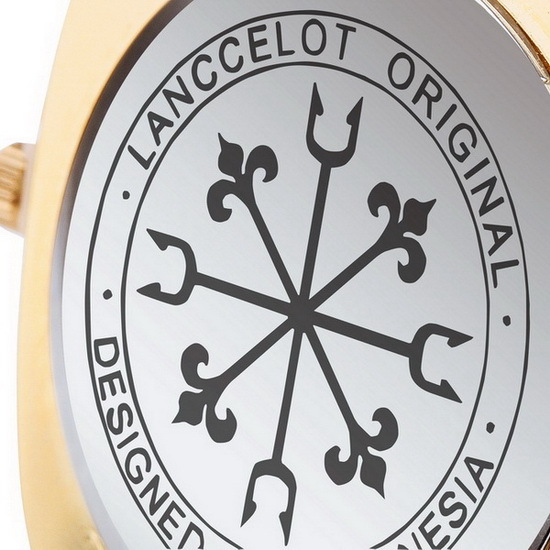 The gold metal strap for instance is chosen by Lanccelot to represent high class touch just like the background of King of Gilgamesh who came from the royal family. 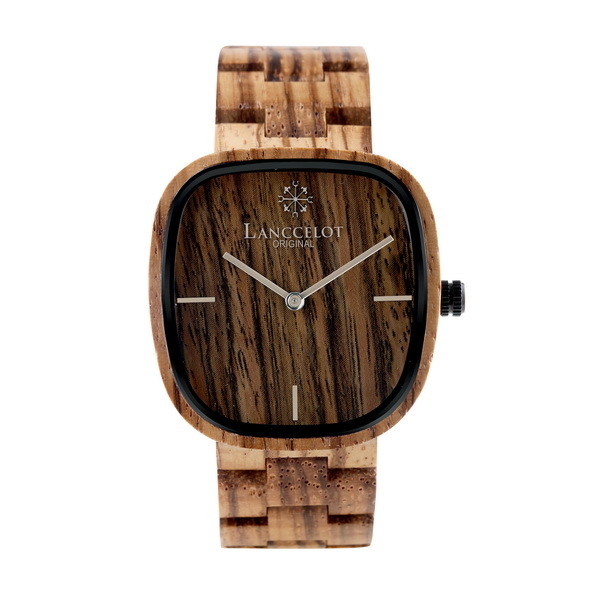 There is no room for failure during the making and it has made a very good quality of fashion watch especially for men. 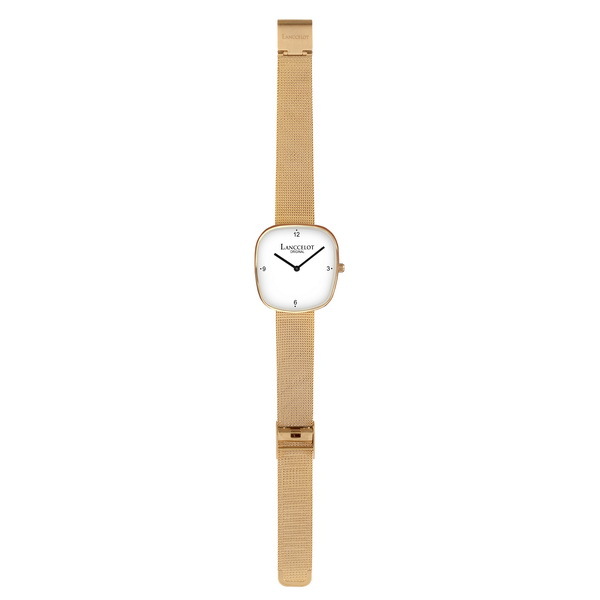 Gold itself is a color representing compassion, loving and of course prestige. 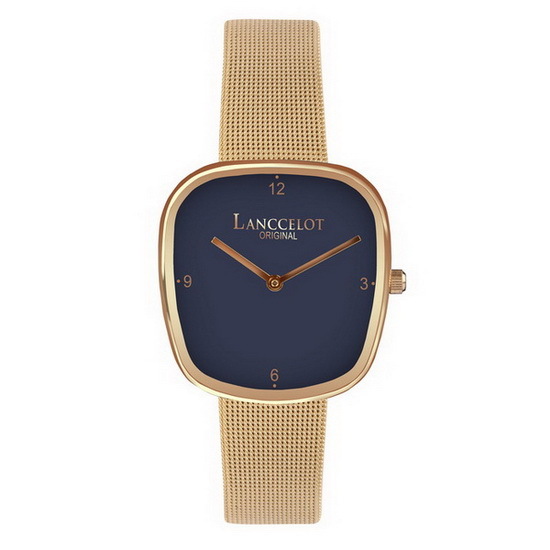 So, when you wear something in gold, you have given yourself a prestigious fashion item to wear. 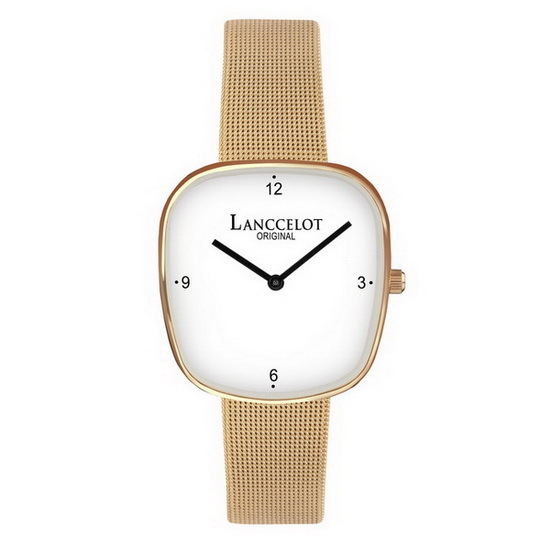 For alluring combination, Lanccelot chose curvy rectangular body case just like other Aegis collections. 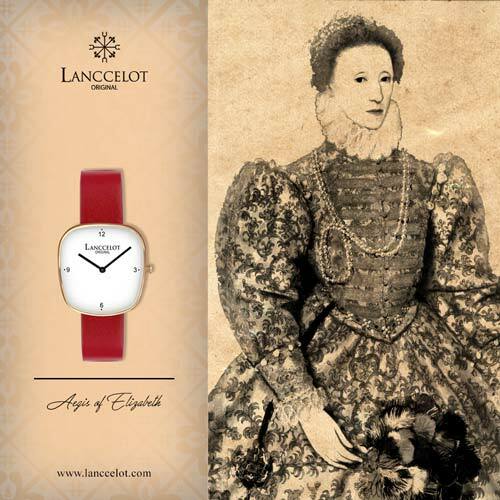 Simplicity is still a concept brought into each of the collections. 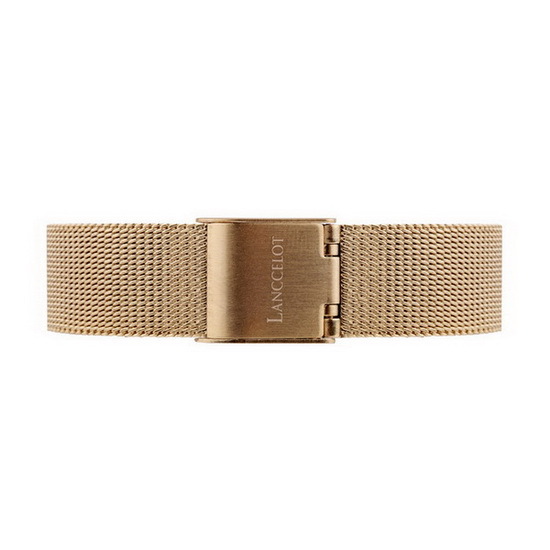 To match the gold metal strap, the outer part of the body case is also made from gold metal. Inside the body case there are only four hour marks on four directions instead of 12 marks to be consistent with simplicity concept. 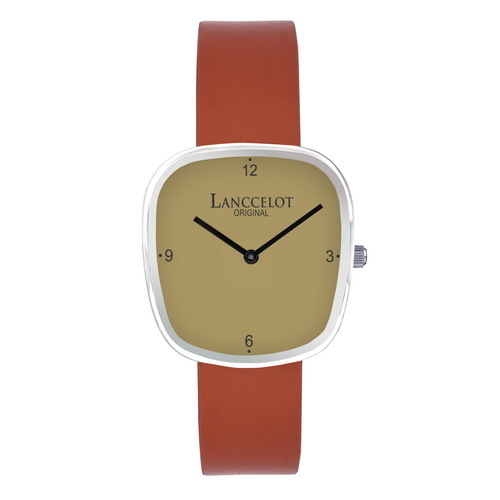 For gorgeous contrast, Lanccelot decided to choose black for both hour and minute hand. 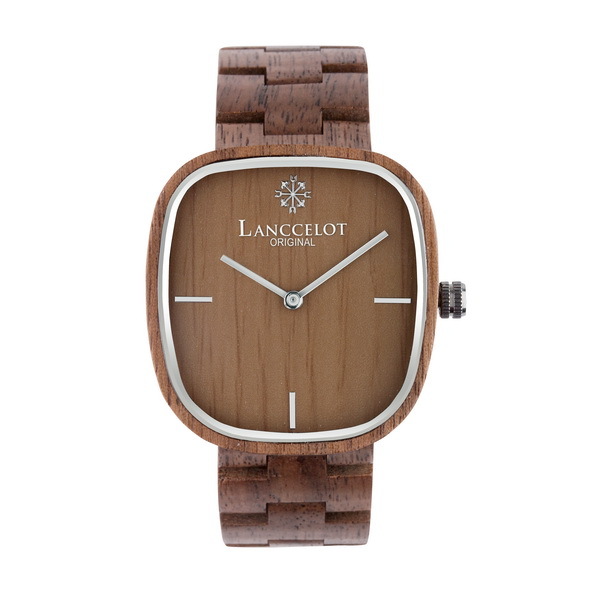 All these details has made sophisticated and gorgeous piece of watch for men to wear.